How do you know if you’ve found a keeper? 1. You’re not afraid to speak your mind. You respect each other's opinions and offer criticism in a way that won’t make you feel belittled. 2. You make big decisions together. Don’t make any big decisions without at least asking your partner. It wouldn't hurt to have a second opinion anyway. 3. You respect the decisions each other has made. You may not always agree with your partner's antics, but you’ll still support your significant other no matter what. 4. You say “I love you” and “I’m sorry” on a regular basis. It's not easy to swallow your pride, but uttering these very words is a crucial ingredient for a better and stronger relationship. 5. You give each other personal space. You’re secure enough to trust that you both won’t do anything that will make each other unhappy once you’re out of earshot. 6. You have healthy fights. Arguments allow you to convey to all the things you both deem truly important. 7. You know and trust each other’s friends. Take the time to know your partner's friends, and trust that they’ll never let your partner do anything to ruin your relationship. 8. You can freely express your love for each other. You have no problem admitting to all your friends and loved ones the real status of your relationship—practically a modern-day miracle in the age of hook-ups and casual dating. 9. You look out for each other’s well-being. It’s your duty to make sure that your partner’s in top form mentally, emotionally, and physically. 10. You encourage each other to live an active and healthy lifestyle. You support your partner’s fitness goals. You go to the gym together, go jogging around your neighborhood side by side, and cheer each other on during fun runs. Having someone along for the ride can instantly make your fitness journey a lot more bearable. 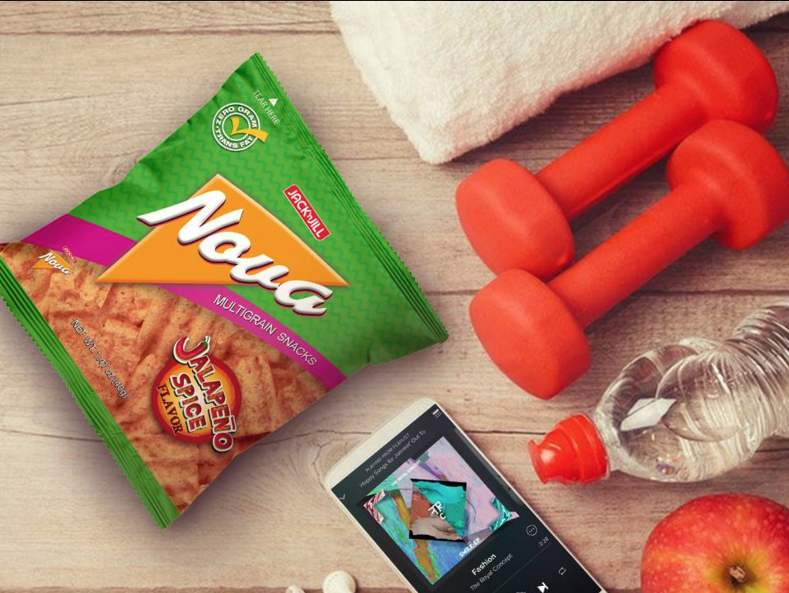 And when it comes to snacking, you also make sure your partner indulges in something delicious while still healthy, like Nova Multigrain Snacks. Nova is the only brand in the market that contains a healthy mix of fiber-rich grains, letting you indulge guilt-free. For more tips you and your partner can do to #livetheNOVAlife, follow Nova on Facebook. Jack ‘n Jill Nova is available in leading groceries, supermarkets, convenience stores, and sari-sari stores nationwide. This article was created by Summit Storylabs in partnership with Nova.